Tickets are available to order online, by phone, or in person. To purchase tickets online, visit our website, www.troymusichall.org, and click on any of the events we have posted. To reach us by phone, contact the box office at (518) 273-0038 during our business hours, Mon-Fri from 10am to 5pm. You also can stop by our Administrative Office during business hours to order tickets in person. We are located at 30 Second St, Troy, NY 12180. To create an account, visit our ticketing website, tickets.troymusichall.org. In the top right corner, click on the Login button, which will direct you to our Login page. Click on New Patron to create a new account. I’m trying to buy tickets online but it won’t accept my email address, what should I do? The Troy Savings Bank Music Hall shares a common login with Proctors (as well as Proctors partners, including Capital Rep, Schenectady Civil Players, Schenectady Light Opera Company, and The Egg). If you’ve purchased a ticket online previously through any of these venues, your email and user information is already on file. If you’ve forgotten your password, you can request to reset it on our login page. What’s the deal with Scalper / Secondary Market tickets? Our website, www.troymusichall.org, is the only official online ticketing source for all Troy Savings Bank Music Hall, Albany Pro Musica & Troy Chromatic Concerts presentations. Patrons who would like to purchase tickets for Albany Symphony performances can visit www.albanysymphony.com. The Troy Savings Bank Music Hall is not responsible for tickets purchased through unauthorized third parties. To guarantee you’re purchasing genuine tickets, buy directly through our website, call, or visit our Box Office. You should always buy in advance to get the best seats and guarantee that you will get a ticket. Some shows sell out before the day of the show, so it’s very important to buy your tickets in advance! What should I do if I lost my tickets or I did not receive them in the mail? If you’ve lost your ticket(s), it’s important to contact our Box Office at (518) 273-0038 as soon as possible. We will put a replacement pass into Will Call. We will not be able to mail out new tickets. The original purchaser of the tickets can pick them up at Will Call beginning 90 minutes before the start of the show. What is Will Call and how can I pick up my tickets? Our Will Call window is where we hold paid tickets for pick-up. Will Call is located in our Box Office and opens 90 minutes before the start of the show. Please present a valid picture ID to the pick up your tickets. If you’d like to pick up tickets before the day of the show, you can stop by our Administrative Office during regular business hours; Monday to Friday, 10am to 5pm. Do you offer refunds or exchanges for purchased performances? Our box office policy states no refunds or exchanges are available unless TSBMH cancels or postpones a show. Exchanges are only available to our members of the Supporter level or above – anyone can join as a member at any time! Click here for more information on memberships. You are also welcome to give your tickets to someone else to use, or we can leave the tickets in someone else’s name at will call if requested by the original purchaser. We do! To receive a group discount for any group of ten (10) or more, you need to order tickets by phone at (518) 273-0038, or stop by our box office during regular business hours. Any show presented by the Music Hall and/or Albany Pro Musica will offer a 10% discount when purchasing ten (10) or more tickets in one order, while the Troy Chromatic Concerts offer a 15% discount with orders containing ten (10) or more tickets. Do you offer Student Rates/Discounts or Student Memberships? Yes we do! Student rates or discounts vary by performance. We also offer a $50 Student Membership. If you are a student looking to attend a Music Hall presentation, or would like to become a Member, please call the Box Office at (518) 273-0038. Albany Pro Musica offers a $15 student ticket to any performance within their subscription series at the Hall. Option 1.) Students can purchase a student ticket in-person at our Box Office and receive 50% off the regular adult ticket price. Option 2.) Students can purchase a $15 RUSH ticket 60 minutes before curtain; the Box Office may use their discretion for seating areas when purchasing a RUSH ticket. All students require a valid college ID to purchase a student priced ticket. Do I have to buy a ticket for an infant/toddler? 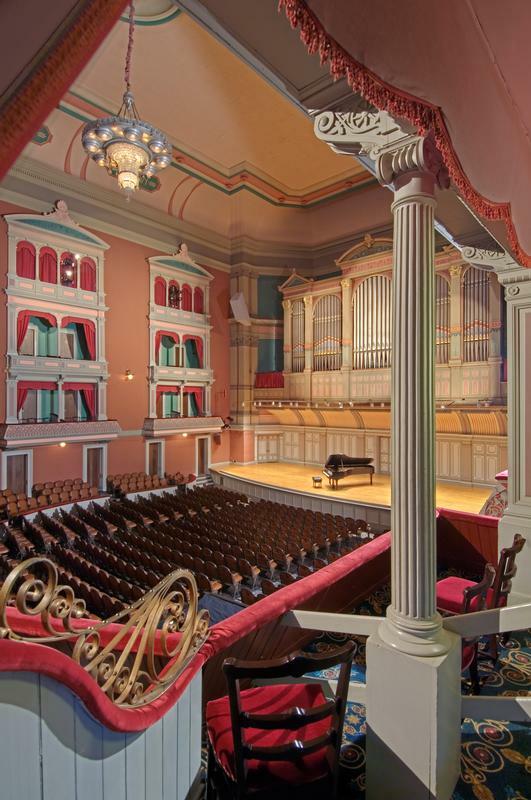 Each patron, including children of any age, must have an individual ticket to enter a performance at the Troy Savings Bank Music Hall. Please call our Box Office at (518) 273-0038 if you have questions or concerns. What’s the difference between General Admission and Reserved Seating? A performance that has General Admission seating means that tickets are distributed with no reserved seats. Patrons seat themselves throughout the hall, and sit where available, first come, first served. Reserved Seating has a specific seat location listed on the ticket. Please note, for Albany Symphony performances, the lower and upper boxes are classified as general admission. Gift Cards are available to purchase online, by phone, or in-person. Gift Cards are redeemable online, over the phone or at the Box Office during regular business hours, or at the ticket sales window on the night of an event. What is your refund and/or exchange policy for performances that are cancelled or rescheduled? In the event of a cancellation or rescheduling, the Troy Savings Bank Music Hall will contact patrons regarding the cancellation or rescheduling via telephone and email. The information will also be posted on social media and our website. Refunds will be issued only to the original purchaser through the original method of purchase (credit card, check, etc.). What if the weather is bad? Is the show cancelled? Unless a state of emergency has been declared, if the artist is ready and able to perform, the show will go on. Why do you charge a ticket fee in addition to the ticket price? Ticket prices only cover about 50% of the cost of presenting performances. Ticket fees help us cover all of our costs, including box office equipment, 24/7 online ticket sales, and other overhead. When was the Music Hall built? The Music Hall was built in 1875 after the Troy Savings Bank decided to move its offices to a new location. To demonstrate the Bank's appreciation for the many years of patronage by the local citizens, they made plans for the new building to include a music hall on the upper floor. George Browne Post was selected as the architect. What’s the deal with your seats? What is the best seat in the house (acoustics/comfort)? The seats are original from when the Music Hall was built in 1875. Although every seat in the Troy Savings Bank Music Hall is great, many people prefer a specific area based on acoustics and comfort. If you’re purchasing tickets based on the acoustics, we suggest that you sit in the Balcony or Gallery. If you’re purchasing tickets based on comfort, you’ll find that our lower and upper boxes have comfortable, movable chairs. Please note, these sections are only accessible by stairs. How are seats numbered in the Music Hall? Seat numbers vary depending on which section they are located in. Parquet Left uses odd numbers, while parquet right uses even numbers. Each row in Parquet Left Center and Parquet Right Center consist of seats 100 to 111. All rows in the Parquet are alphabetically ordered. The Dress Circle, Balcony, and Gallery are separated by section letters, row numbers, and all sections start at seat 1 and progress numerically. Some sections may go up to 100 seats, and some sections may only go up to 7 seats. The lower and upper Boxes are differentiated by rows 1 and 2. For Albany Symphony performances, the lower and upper Boxes are classified as general admission. How many people does the Music Hall hold? The Music Hall seats 1,175 people. If a performance requires the stage extension, the Music Hall holds 1,021 people. Does the Music Hall have air conditioning? In order to maintain the Music Hall’s natural acoustics, the Music Hall does not offer air conditioning. The Hall can become warm from the heat generated from an audience, please take that into consideration when dressing for a performance. Can I take photos of the show? Professional-grade cameras and recording equipment are not generally permitted unless approved by Music Hall Management. The photo policy for every show is subject to the preferences of the artist. Patrons with cell phones or other personal electronic devices are requested to turn them off before entering the concert hall. Do you offer tours of the Music Hall? We do! We frequently offer tours during Troy Night Out events, which occur the last Friday of the month. Please be sure to check the Troy Night Out map to see if we are open for tours or feel free to call our Box Office. We also offer tours during our regular business hours if the Music Hall is not occupied. Walk-ins are welcomed. Does the organ work and is it ever played? The organ was installed in 1890. It was partially restored in 2006 and is played occasionally. Can I bring outside Food & Beverage into the Troy Savings Bank Music Hall? No outside food and beverage are allowed in the Music Hall. Snacks, soft drinks, beer, and wine are available at concessions for most performances, but only bottled water and beverages in theatre approved cups with lids will be allowed in the Music Hall. The concession area is located on the south side of the Hall, one half level below the main upper lobby. We offer volunteer informational seminars before our season starts every fall. If you are interested in learning more about our usher program, please e-mail pam@troymusichall.org with contact information. Attendance at orientation and safety seminars are mandatory and all volunteers must commit to working at least 10 shows a season. Does the Music Hall have a Lost & Found? We do have a Lost & Found for personal items left in the Hall. These items can be picked up during our regular business hours in our Administrative Office. If you have any questions please contact our Box Office at (518) 273-0038. While we have a Coat Check area, please be aware that for most performances our Coat Check is self-serve. 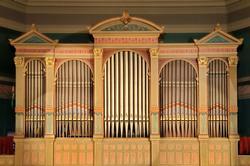 The Troy Savings Bank Music Hall is not liable for any lost or stolen property. In deference to the comfort and listening pleasure of the audience already in the hall, patrons arriving late to a performance will be seated in between pieces or at the discretion of the House Manager. Can I bring in my backpack or purse? Backpacks are not allowed but small purses are permitted and may be subject to search. Does the Music Hall have a formal dress code? We do not have a formal dress code but we highly encourage business casual dress for all classical genre performances. Can I smoke or vape in the Music Hall? No smoking or vaping of any kind is permitted in the Music Hall. Any patron who is found to be smoking or vaping in the Hall may be asked to leave. Where is a First-Aid kit located and what do I do in case of a medical emergency? The First Aid kit is located at the Concierge Desk in the upstairs Music Hall lobby. In case of an emergency, please use your cell phone to call 911 or locate the House Manager or notify the nearest usher, security guard, policeman, or staff person to alert the authorities. Is the Music Hall wheelchair/ADA accessible? The Music Hall lobby and the Parquet, Dress Circle, and Wheelchair seating sections of the Music Hall are accessible. Patrons requiring the elevator are advised to arrive early. Although ADA seating is available for purchase online through our tickets site, we encourage patrons with special seating requests to contact our Box Office at (518) 273-0038 or email info@troymusichall.org so that we can further assist and accommodate your requests to the best of our ability. Does the Music Hall provide any devices to help the hearing impaired? Personal Assisted Listening Devices are available at no cost at the Concierge Desk in the upstairs Music Hall lobby and may be checked out with a valid ID. Does the Music Hall have an elevator? We do have an elevator! The elevator is only accessible to the Music Hall lobby and the main floor of the Music Hall which includes the Parquet and Dress Circle sections. Can I attend a performance at the Music Hall with a service animal? Yes, service animals are always allowed at the Music Hall. If you need special arrangements, please call our Box Office and we will do our best to accommodate. If you plan on being dropped off at the Music Hall, please do so at the corners of Second & State Streets. For most performances, we will have Ambassadors on hand to help patrons with questions, concerns and assistance for patrons who ask for help. Parking on the street and in city-owned garages is free after 5 PM on weekdays and all day on weekends. To look at a map containing parking details, please click here. How do I get to the Music Hall from Schenectady, Albany or Saratoga? To get specific information about directions, you can visit www.troymusichall.org/directions. We recommend anyone attending a performance should arrive at least thirty minutes before the show, if you plan to park in an area parking garage. Some performances may sell out and you may need extra time to find parking or pick up your tickets at Will Call. What are some restaurants near the Hall? There are great restaurants located around the Music Hall! Members of the Hall at the Supporter level or above receive discounts to various restaurants throughout Downtown Troy. To see an array of dining options, you can visit the Downtown Troy BID website at www.downtowntroy.org/dine. Is there a concessions area at the Music Hall? Yes, the concessions area has snacks, soft drinks, beer, wine, and bottled water. Please be aware that concessions and merchandise counters may accept only cash for some performances. The concession area is located on the south side of the Hall, one half level below the main upper lobby. Bottled water and beverages in theatre approved cups with lids are allowed in the Music Hall. I’m coming into Troy from out of town, are there hotels nearby? Nearby area hotels include Best Western Plus- Franklin Square Inn and Hilton Garden Inn. No, but there are multiple banks within walking distance with active ATMs. These banks include KeyBank and Bank of America. Does the Music Hall participate in Troy Night Out events? Yes! If you are interested in attending a Troy Night Out event at the Troy Savings Bank Music Hall, please check the Troy Night Out map or call our Office at (518) 273-8945. 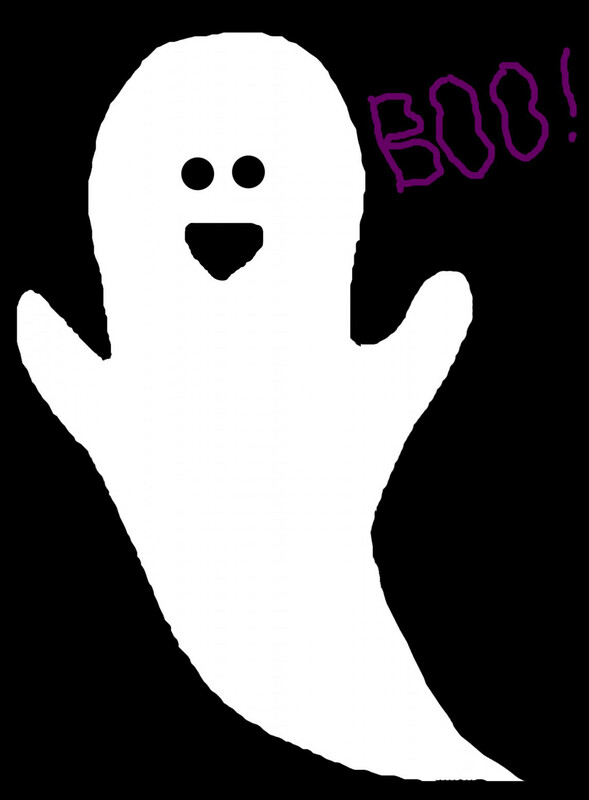 Do you have a ghost? Although there is no way to definitively tell if we have a ghost in the Music Hall, there are definitely stories to be told. Feel free to come to our office for a tour and you may hear a few! Do you offer FREE performances or have Community Outreach events? On the second Tuesday of each month from October to May, we present the free Music @ Noon concert series. This series has presented exceptional musicians with a diverse mix of musical styles and is free and open to the public. Come listen, and bring your lunch! The Music Hall also provides free student programming for Troy Public Schools and free tickets to certain performances for students. We also have community outreach events through the season that may coincide with a TSBMH presented performance. For more information on Music @ Noon and other community & educational events, please email info@troymusichall.org. How can I rent or perform at the Music Hall? You can inquire about renting or performing at the Music Hall by contacting our Executive Director, by e-mail at info@troymusichall.org . Is the Music Hall hiring? We post all employment opportunities on our website, www.troymusichall.org, on our ‘Employment’ page. Can I refill or purchase a CDTA Navigator pass at the Music Hall Box Office? Yes, you can refill or purchase a CDTA Navigator Pass at our Administrative Office during our regular business hours. If our offices are not open, the Troy Public Library is the closest sales location for the CDTA Navigator Pass at 100 2nd Street, Troy. Does the Bank actively operate? We are actually not a bank. The Music Hall is situated above the home of the former Troy Savings Bank which is now closed. If you are searching for records affiliated with the Troy Savings Bank, please call KeyBank for more information.